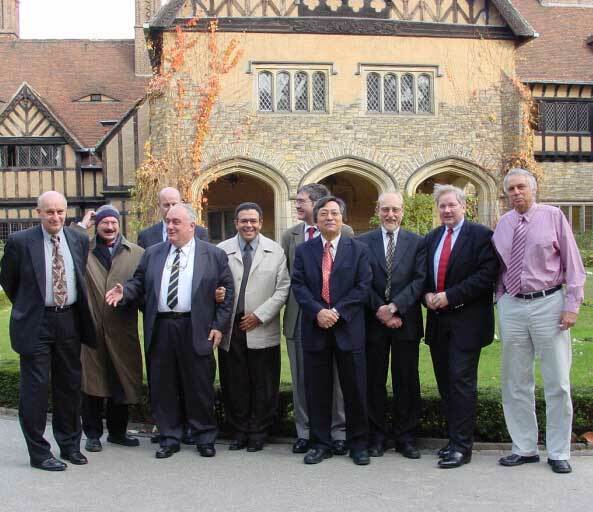 On 1-2 November 2004, under the auspices of the German Foreign Ministry, the German Pugwash Group organized a workshop on the Non-Proliferation of WMD Delivery Systems, in Potsdam, near Berlin. The meeting of 20 international experts from Europe, the Middle East, the United States and South Korea took place in Cecilienhof Castle, where the Potsdam conference was held in July 1945 when the leaders of the US, the Soviet Union and Great Britain conducted negotiations on the division of Germany. Among those attending from Pugwash were Secretary General Paolo Cotta-Ramusino and Council members Mohamed Kadry Said and Mark Suh, along with Council member and local organizer Gotz Neuneck. During the workshop, missile scientist Prof. R. Schmucker, an expert on North Korean, Iranian and Pakistani missile programs, argued that none of these countries have independent manufacturing capabilities. Rather, their programs are based on Chinese and Russian missile technologies. Geoffrey Forden of the MIT Defense Studies program pleaded for a stronger inclusion of private companies in national arms export procedures. Other subjects discussed were the status and prospects of the Missile Technology Control Regime, the Proliferation Security Initiative and the possibility of introducing missile control measures in the Near/Middle East. The conference took place near the room in which Stalin, Truman and Churchill conducted negotiations about the future of Germany and Europe, and where Truman received the message about the successful nuclear test at Alamogordo on 16 July 1945.